Dr. Andrey Eng and his entire staff welcome you to our modern and comfortable dental office located in Yorba Linda, CA. We are conveniently located in the Von's East Lake Village Center off Yorba Linda Blvd. You will find that at East Lake Advancing Dentistry in Yorba Linda, our focus is not only on your oral health, but in assessing your overall wellness. Your oral health is connected to your whole being. With the use of advanced dental technologies and continuing education, Dr. Eng and our entire team is excited to show you how we can make a difference. Dentistry is rapidly advancing. With cutting edge dental technology your experience at East Lake Advancing Dentistry in Yorba Linda, CA will change the way you feel about dentistry. We take pride in providing comfort while using safer, healthier, nonmetallic materials. Our hallmark of biomimetic and minimally invasive dentistry, will help to prevent cavities before they start and maximize the longevity of your teeth. Biomimetics reduce the need for crowns and root canals but also provides crown options that can reduce taking away unnecessary removal of good tooth structure from the typical crown done in most offices. We use ceramic fibers to reinforce weak teeth similar to modern engineering concepts. Our office has the long term education and experience while constantly updating to including all the options available giving you the best, and most cutting edge approaches in restoration. This means giving you the healthiest approach to treating your teeth while also producing the highest level of cosmetic dentistry. At East Lake Advancing Dentistry in Yorba Linda, our approach is focused on achieving and maintaining healthy teeth and gums. 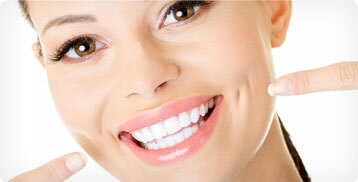 We will proactively ward off bacteria and developing infections that cause bone loss and cavities. Scheduling semiannual dental cleanings allows us to stop damage before it requires more intensive treatment. The health of your mouth matters. It is an indication for your overall body's health. By treating bacteria and infection in your mouth, we can improve your immune system and keep viruses at bay. Heart disease, diabetes, autoimmune disorders, dementia and Alzheimer's have all been shown to be tied with the level of bacteria and viruses in our mouth. Since our mouths are a cavity into our bodies, it only makes sense that the healthier our mouth is, the healthier our body is. Our staff is great. We have a caring, dedicated family of long term staff, most of which has worked here for over 25 years. We known that with our technology, training, experience and techniques, a visit to us can be a pleasant, relaxing experience. Whether you need a simple cleaning or more involved service, we hope you will allow us help to enrich your health and confidence by caring for your mouth and body. After 28 years of dedicated care we refuse to stay stagnant in care. Times are changing and access to quality healthcare will be more difficult. We have spent countless hours educating ourselves to helping our patients by becoming a bridge to early detection directing any needed care to bettering one's health beyond the mouth. 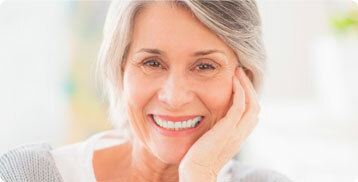 Your comfort and improving your overall health comes first at East Lake Advancing Dentistry in Yorba Linda, CA. What can Dr. Eng do for your family? Call our office today at (714) 779-2736 or send us a message via the Contact Us form on each page to schedule your appointment. Like us on Facebook and Google!